So you got invited to go to a tailgate party and you don’t know what to expect, and want to know all the fuss is about, don’t you? Well then, it might be a real good idea to find out what tailgating actually is. In fact, if I had to venture a guess, I bet that is why you clicked on the link to get here in the first place. 🙂 Well the GOOD NEWS is, we are here to help. Read on my friend… read on. A tailgate party, simply put, is an outdoor social event that is normally held in the parking lot near a sporting event. But that doesn’t really begin to describe it. Think of a tailgate, as an outdoor pre-game celebration. It’s true that tailgating is most often associated with college and professional football, but the popularity of this type of festive get-together has certainly spread to lots of other sports including; baseball, racing, soccer, basketball and even hockey, just to name a few. Not To say there can’t be other occasions to have one of these social shindigs. 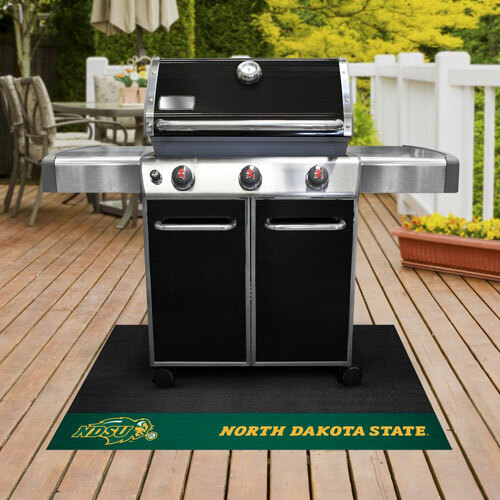 Many people “tailgate” at home in the backyard, on their deck, or in their driveway on game day. Many fans look forward to setting things up at O-Dark-Early and making breakfast before the game, and then making another meal after the game is over before heading home. Casual fans seem to want to rush rush rush home as soon as the game is done, or even (gasp) before the game is over! That’s crazy talk! Lots of tailgaters like to avoid the traffic jams of thousands of fans leaving the stadium, by hanging out for a while after the game. Die hard tailgating fans take this time and enjoy the entire sporting day experience and celebrate the victory. (Or perhaps to console each other after a defeat) . This is also the perfect time to have an after-game meal and/or additional refreshing drinks. This is especially true if the football game is in the middle of the day. For some people, tailgating is a lifestyle, like camping or traveling. Good Times and Friendly Fans! It really is a FAN-tastic way to bring people together and have a good time while cooking up food and enjoying frosty beverages outside. 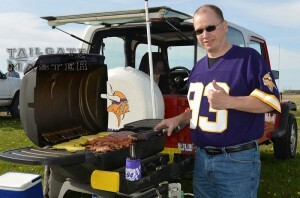 Sometimes tailgating occurs at non-sporting events such as music concerts, car shows, or divorces. 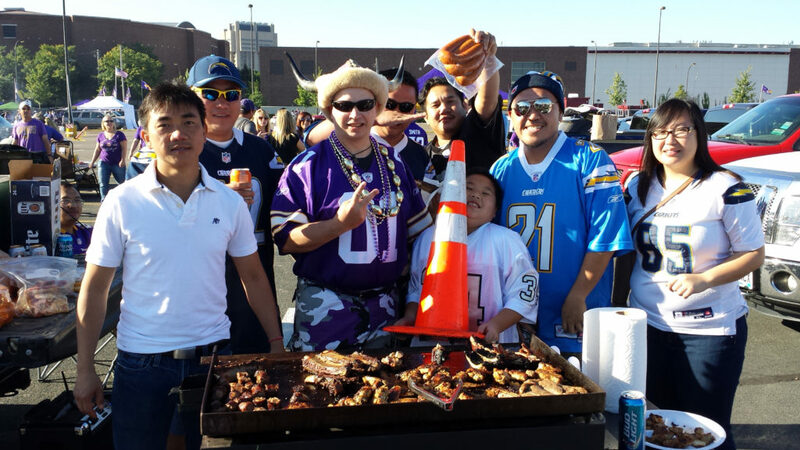 Tailgating is an American invention that has become a VERY popular pastime on game days. 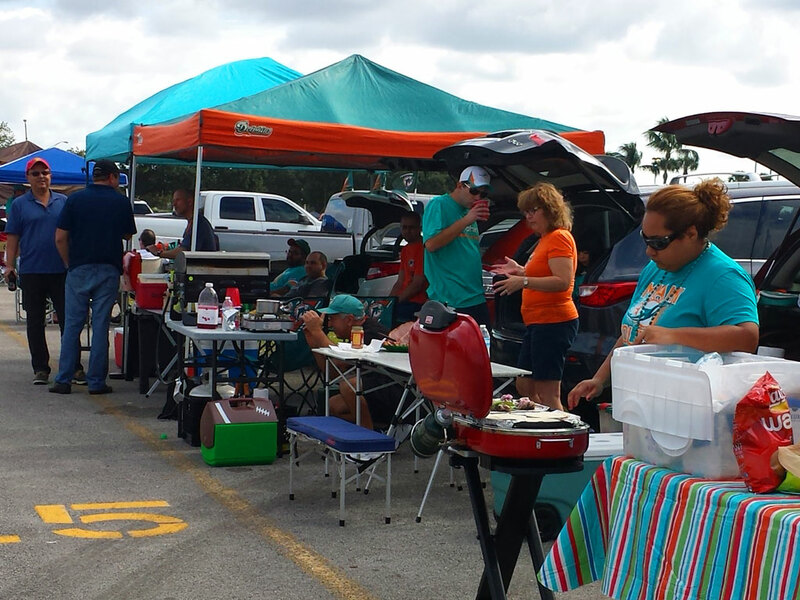 It is estimated that people spend in the billions (that’s billion with a “B”) of dollars every year on tailgating and tailgate related food and supplies. That’s A LOT of hot dogs! 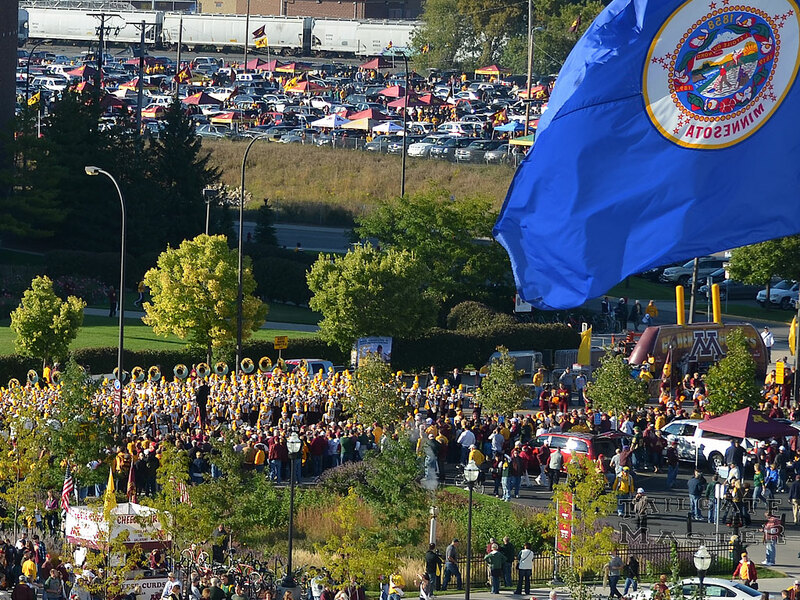 College Football Tailgating party plaza & parking lots at the University of Minnesota before a Golden Gophers game. 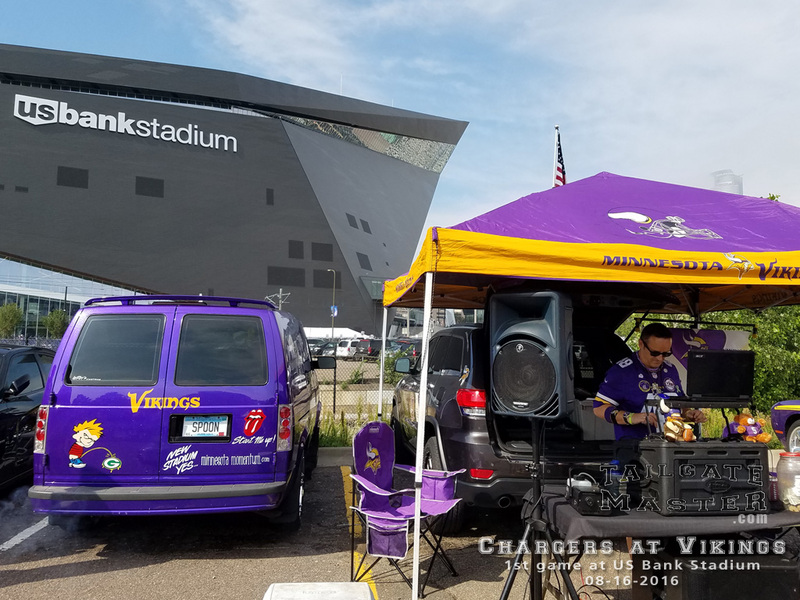 The basic reason that this type of party is called tailgating instead of something like crazy-go-nuts-sports-party-time, is because the festivities are typically centered near the open tailgate of a vehicle. It is handy to have your grill, insulated coolers and food stuffs right next to your car or pick-up so that you can quickly put all the stuff you brought with you away before you go into the game. Also… it’s a little known fact that pick-up truck tailgates make excellent tables. Parking in a designated tailgating lot is normally more expensive than a regular lot, so many people from the same group choose to meet up at a single tailgating spot rather than have everyone bring in individual cars. It is certainly not mandatory to bring your own vehicle to be allowed to join in the festivities. 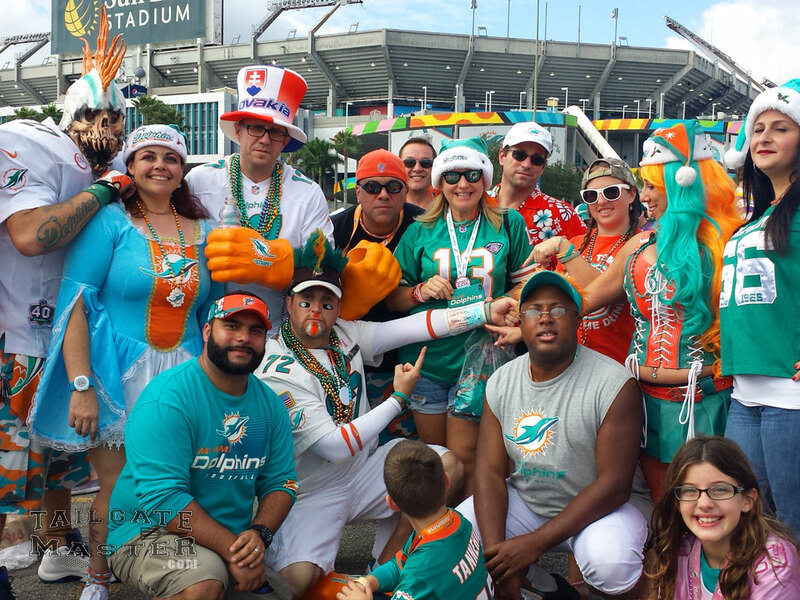 Tailgating in Miami: Fins Up! Some of the fun of tailgating is walking around and checking out the other fans tailgating areas to see how they do things and what cool team-related treasures that they brought with them. Banners, rugs, flagpoles, team colored chairs or couches all find their way into the parking lots on game day. Heck, not much is really “over the top” when considering what to put out behind your tailgating vehicle. Certainly your portable grills and coolers for beverages are top of the list, but many party goers bring a canopy to protect from the rain or sun. Full on bar counters with fancy drink stations are not at all uncommon. I’ve even seen drive-able beer kegs and gas powered blenders in the parking lots at some games. TIP: Not sure what to bring? 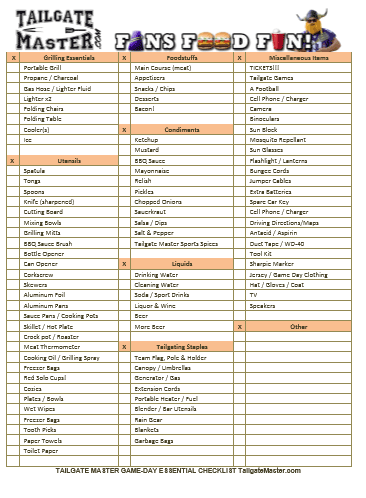 Download our free Tailgating Checklist. All dressed up and ready to tailgate. You will know you are getting close to the tailgating areas because of the smells of charcoal and barbecue that whiff through the air. Expect to see fans grilling meat, eating fancy team inspired food and drinking adult beverages. There are sooooo many different types of snacks to sample. Of course hot dogs, brats, wings and ribs are pretty popular cuisine that you will find in the lots. Also, the ever popular food on a stick. You have to admit… you are getting hungry looking at this… aren’t you? Most tailgaters are very friendly and will encourage you to sample their football day recipes for free… even if you are a fan from a rival team. Hey… as long as you are respectful and friendly, they will be also… but expect some friendly banter between rivals. It is considered good etiquette to bring your own drinks and to offer money to the people providing food. “Tips” may not always be accepted however… It depends upon the person. So what I am saying is, be prepared to pay, but don’t be too shocked if they won’t take your money. 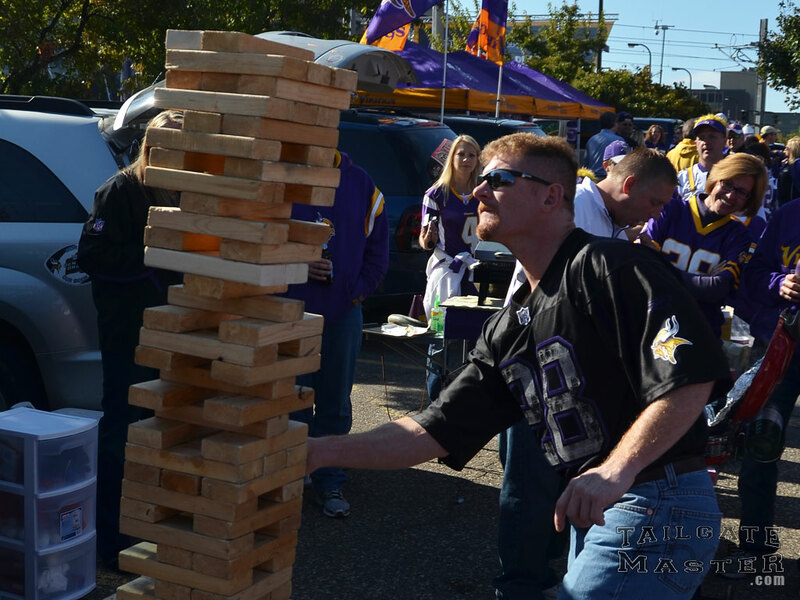 Tailgating Games… I’m thinking gravity is going to win here. Many different types games are played in the lots such as beer-pong, corn-hole and the like. You will definitely see more than a couple people passing a football around. Many times the home team will have drum-lines, mascots and cheerleaders roaming the tailgating lots to help entertain guests. Sometimes live music is provided by the event organizers. Many times fans bring elaborate sound systems with massive speakers and people literally can dance in the street. Expect many kinds of music (all of it loud). The DJ’s Music is JAMIN’! 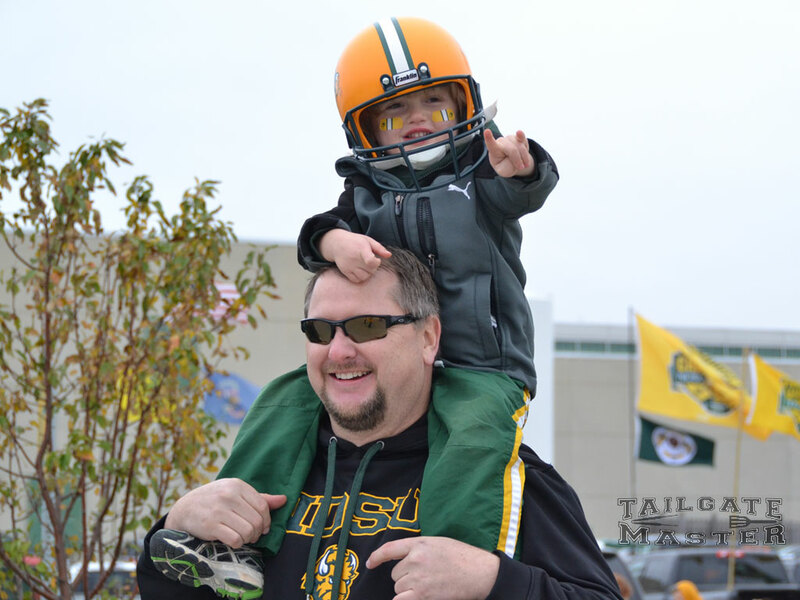 Tailgates that are fan driven are informal and typically not held as “commercial” events. The whole idea is to get a bunch to people together (like a big outdoor picnic) making sure it is fun for everyone. 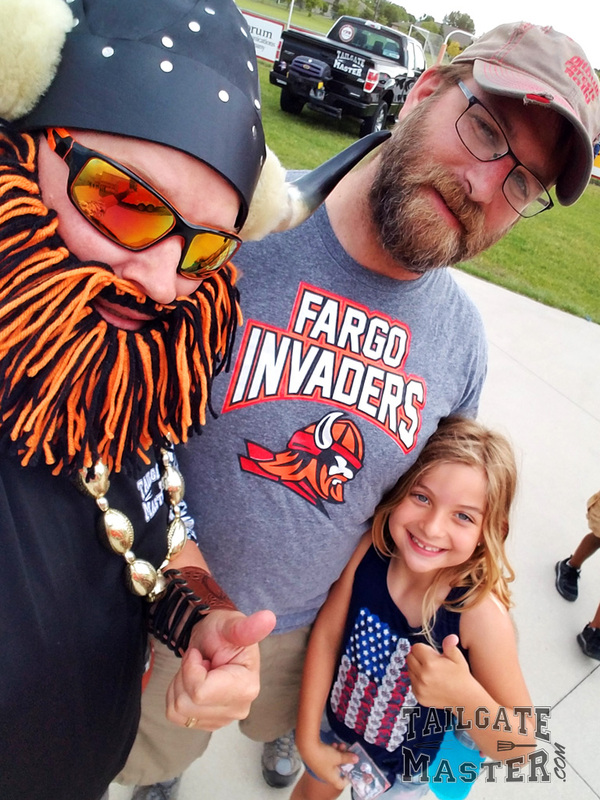 Most football tailgate parties are considered “family friendly” events… check with the people that invited you just to be sure. Expect to have a good time! Seriously, some people see “tailgating” before and after the event, as equal to, or even more important than the football game itself. There are groups of sports fans who actually never go into the actual event, choosing instead to stay in the parking lot and listening to the game on the radio or with large screen televisions that they have brought with them. It is quite common to see tailgating vehicles sporting generators, T.V. antennas or satellite dishes as to not miss out on any of the action of the day. 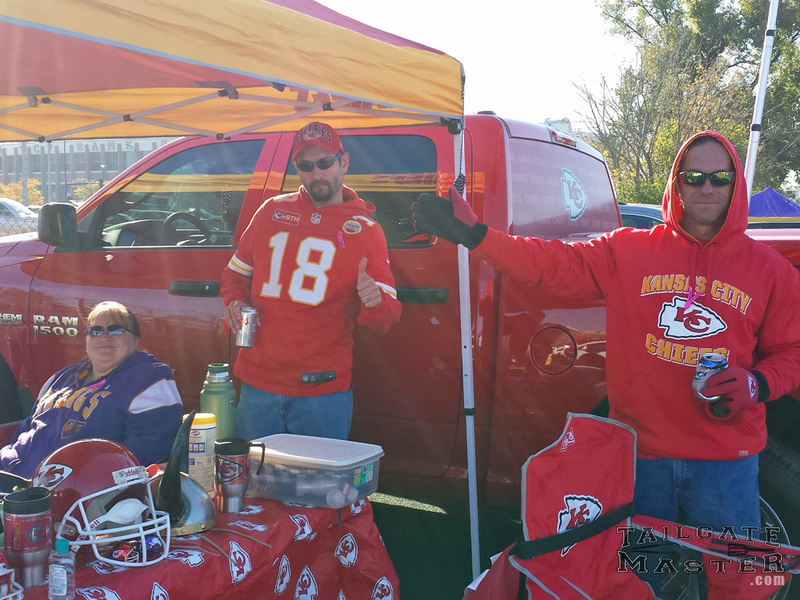 Tailgating has certainly has become an integral part of game day festivities for a lot of sports teams and their fans. 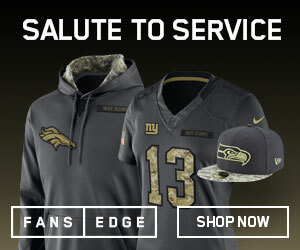 What should I wear to my first tailgating experience? 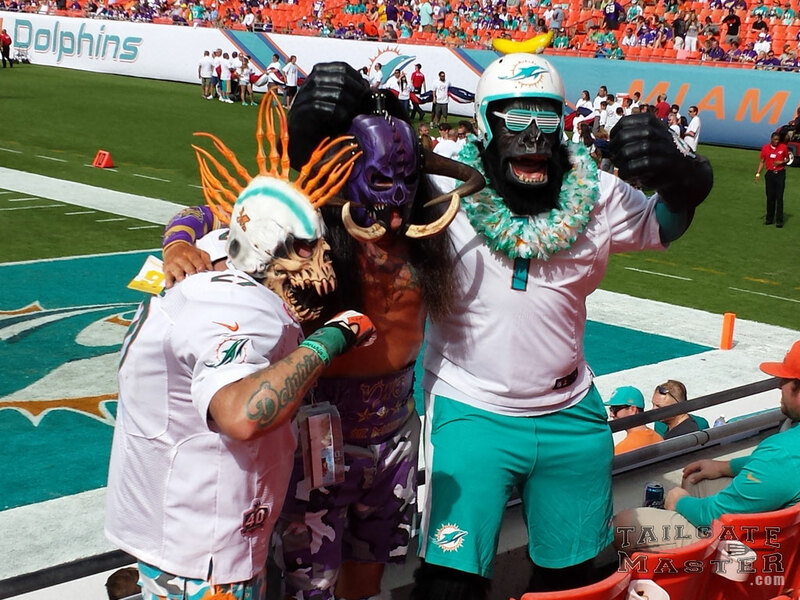 Well… people typically dress up in team colors to show which team they are supporting. 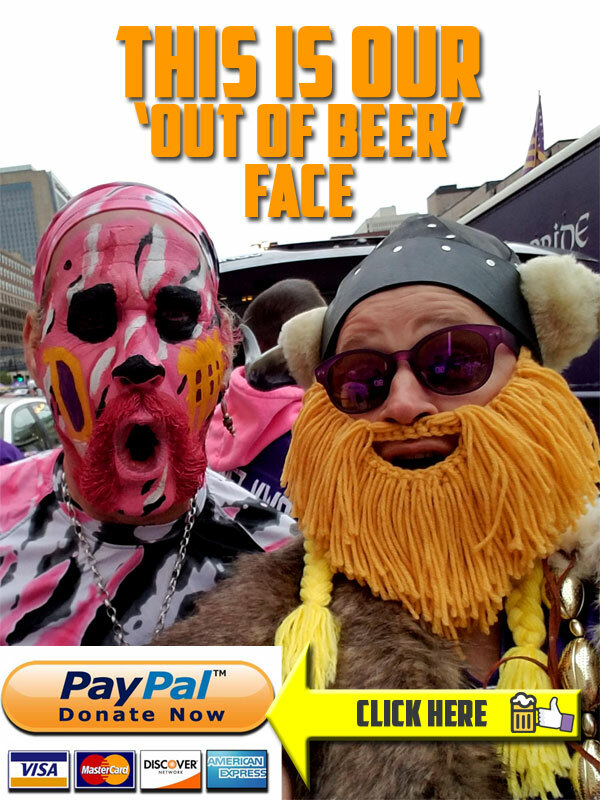 Some fans might wear team jerseys or t-shirts, while others get really into it and paint their faces or craft elaborate outfits. 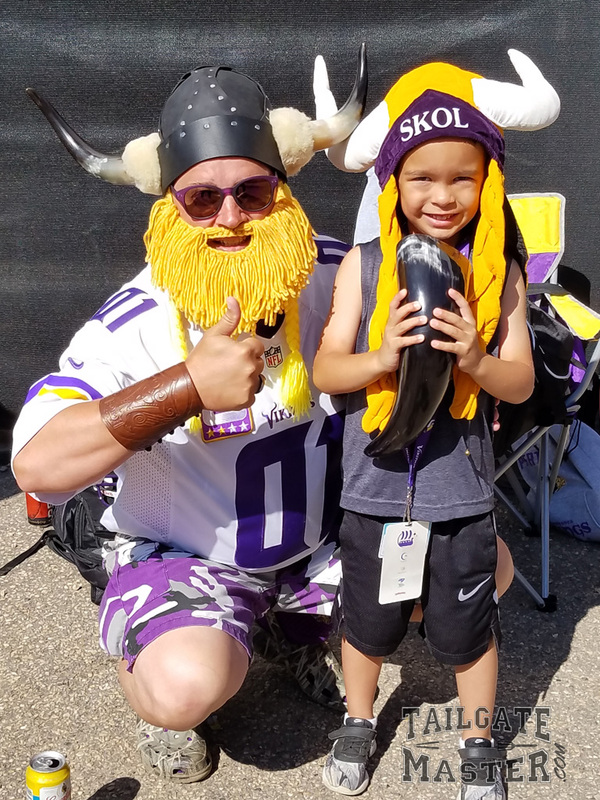 Sometimes tailgaters get so extravagant with decking themselves out in team themed gear that the event starts to resemble huge costume parties that rival Halloween or Mardi Gras type bashes. Rival Team Superfans Posing for a Photos. 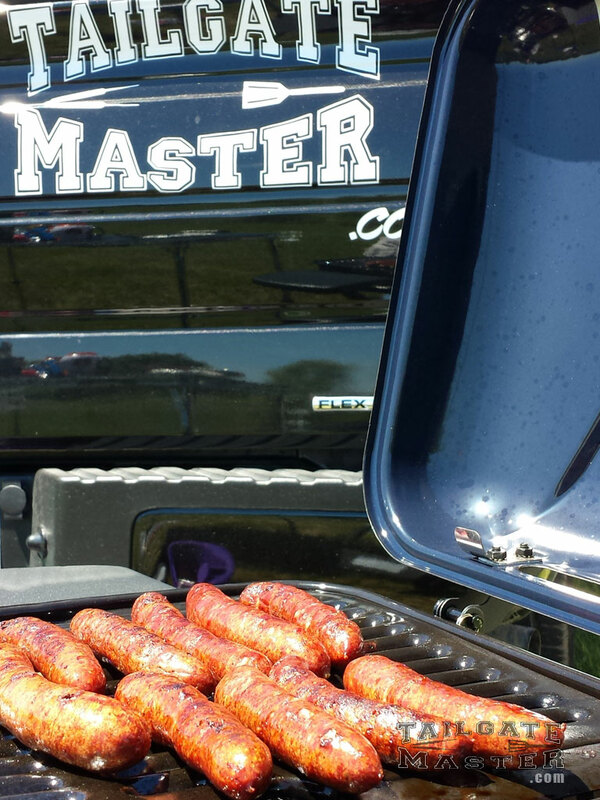 More Tailgate Master tips that we shared with CNN can be seen here. Scott “Admiral BigGun” Backstrom is a tailgating fanatic, avid barbecue taster and semi-professional fist-bumper. 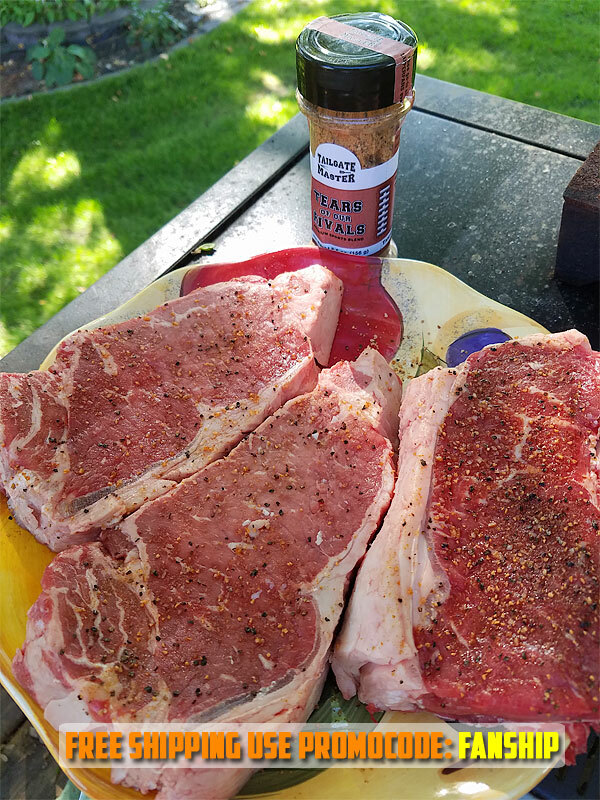 He was recently selected as the featured “Griller Guy” in Tailgater Magazine and his expert tips have have been shared in multiple print and digital publications including CNN. 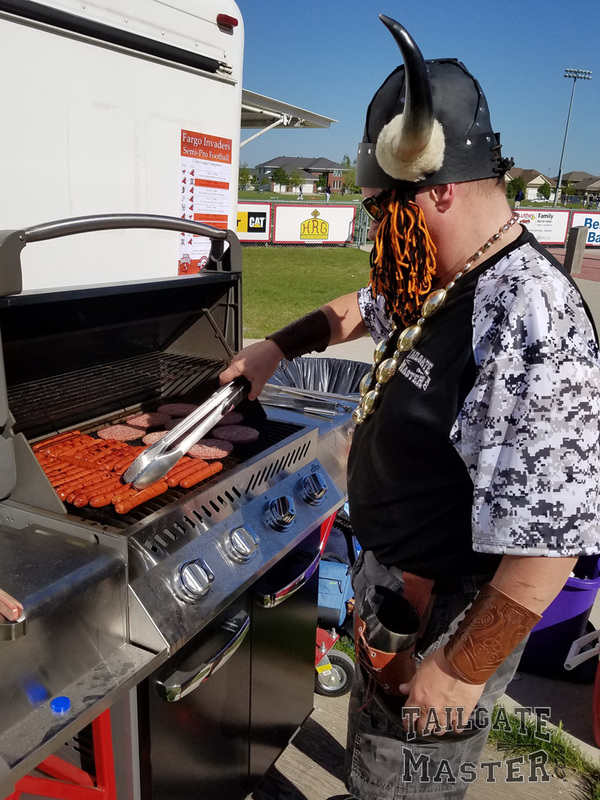 When not cheering at the game or high-fiving people in the parking lot, he can most likely be found creating new ways of combining spices, bacon, beer and fire. 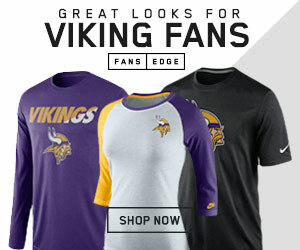 Backstrom is the founder of TailgateMaster.com , a site site focusing on Fans, Food and Fun.